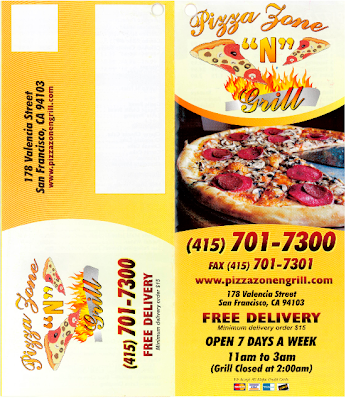 The “Blog” of “Unnecessary” Quotation Marks: oooh, zone "n"
I briefly read that as "66 N 99." WV: angst -- No comment. LOL!! Love your blog so much! @deckardcanine, sounds like an address. I thought it was a experimental receipe pizza. It was their 14th attempt and it was deemed a success so they went with it.